Ricoh Launches SP C261SFNw Color Laser MFP | Industry Analysts, Inc.
On Oct. 10, 2017, Ricoh USA launched the 21-PM SP C261SFNw Color Laser MFP. 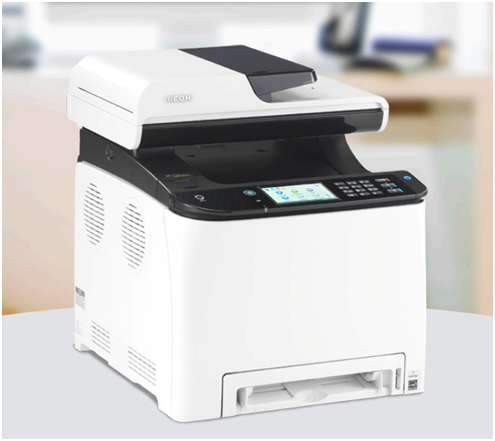 Positioned as Ricoh’s entry level A4 Color MFP, this device offers an impressive feature set, exceptional image quality and an aggressive price point. The SP C261SFNw delivers fast print/copy speeds of 21 pages-per-minute and is designed to support busy single users or small workgroups generating 700 to 1,500 pages each month. The SP C261SFNw shares the same advanced feature set as the robust SP C262SFNw. However, the SP C261SFNw boasts a more aggressive hardware price and is positioned for lower volume environments. The SP C261SFNw does have a higher CPP than the SP C262SFNw. This entry was posted in Ricoh and tagged ricoh, SP C261SFNw by IA Staff. Bookmark the permalink.